That first one, the sort of medium distance one with jeff sleeping? 090314-1.jpg? Sigh…that’s beautiful. 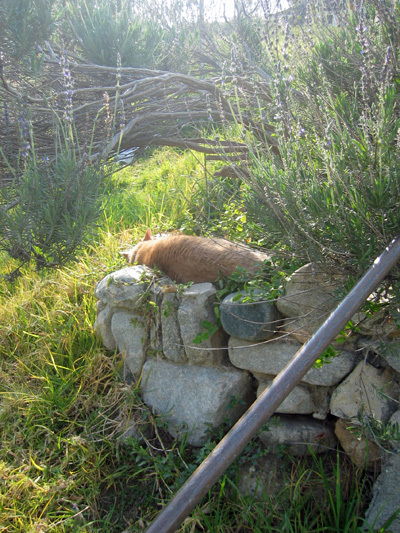 Everything about it: the light, the growing things, the stone wall, knowing it’s his favorite spot, everything. Catnip growing randomly? I think not. 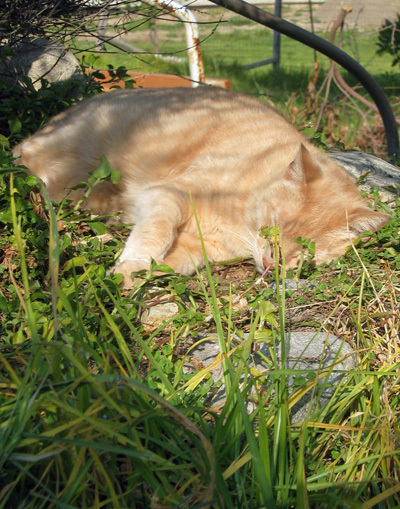 Jeff is so magnificent that catnip grows spontaneously wherever he steps. True story. I agree with alex. Really great picture. 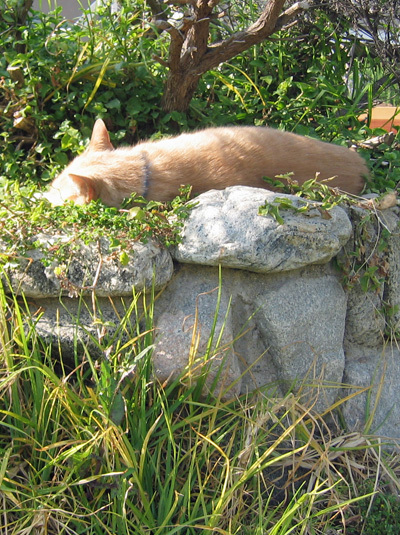 I wonder if the calming effects of the scent of lavender that we humans experience occurs in our feline friends as well. Thanks for this online cat chronicle! i feel more relaxed just looking at those pics!!! le sigh. Aww Jeff your so cute,laid out chillin’ with your catnip stash. Terrific shots, well done, Staff! Wow does El Jefe look comfy…such a rough life for His Orangeness, huh?